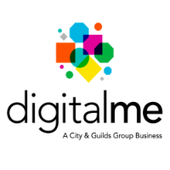 DigitalmeCredly is a leading digital credential platform that empowers organisations and individuals to recognise, communicate and track verified achievements. DigitalmeCredly seamlessly integrates with hundreds of applications that schools, employers and associations use every day. Organisations using DigitalmeCredly issue portable and secure digital credentials and open badges that recognise and delight earners, and gain actionable data and insights about how and where those credentials are being used. Digitalme Credly has certifications for the following versions of this product.